Back in the day, Chris Arreola (36-4-1, 31 KO) was a formidable heavyweight, as his thirty-one knockouts in thirty-six wins would suggest, only to be defeated by the crème of the crop. Even his stance and guard are atrocious – Arreola, that is. Feet sideways, but shoulders very square, torso very erect, high-guard with elbows in tight to default-parry without effort as he walks forward and absorbs what comes at him. Slaps with his jab, slaps with his right hand. With is trunk already rotated leftwards, he is preset to use his left hook by telegraphing his guard. Relying heavily on his guard to block, his punch output drops. Heavily criticized for his lack of conditioning, Arreola accepted this fight on short notice as Deontay Wilder (36-0, 35 KO) needed a fill-in for Alexander Povetkin who tested positive for trace amounts of Meldonium. Povetkin has subsequently been cleared by WADA due to a lack of accumulated studies to unequivocally indicate how long the substance remains in the body after disuse as well as the pattern of excretion. Regarding the latter point, the real controversy was that Povetkin had tested negative for the drug on several occasions before testing positive. Povetkin's reputation hinges on the possibility that drug concentration in urine may fluctuate upwards and downwards for a period of time before it is completely gone and that the concentration released by his system was indeed trace. This is excellent matchmaking once again by Al Haymon. Wilder stays busy and gets what he perceives as a tuneup. 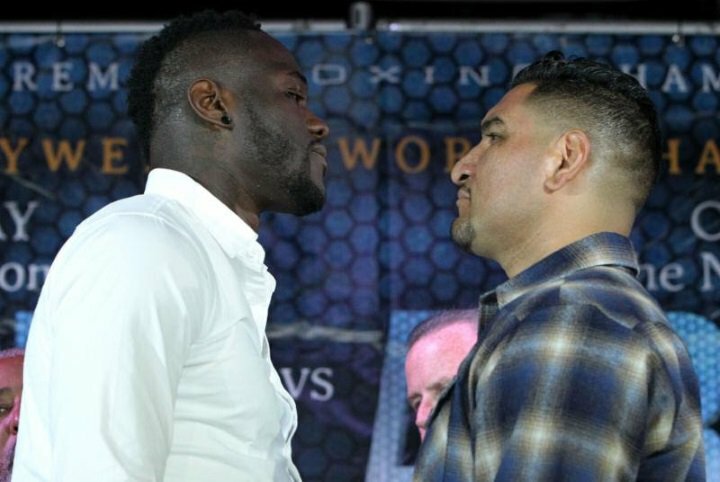 Arreola likely would not earn himself another chance at the heavyweight title unless by some gift, and he is served Wilder, who may be the most vulnerable of heavyweight titlist, while holding the most prestigious – WBC – belt. I would not be surprised if Arreola did not manage to win a round. Wilder-Arreola is a PBC on Fox special airing at 8PM US Eastern on Saturday night. A full preview of Deontay Wilder's WBC heavyweight title defense against late-notice challenger Chris Arreola.